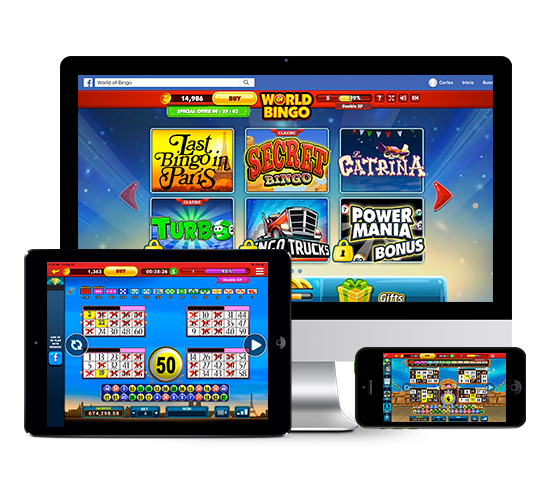 World of Bingo, WOB, is one of the best interactive bingo games in the market. This exciting social gaming app manages to teleport you into multiple worlds. The player can choose between being a ‘Lucky Hero’ or enjoy a ‘Last Bingo in Paris’. The game also features a friends section where you can invite people to play and compete with you. WOB’s Leaderboard helps you stay on top of where you fall in the ranks, and the special gift icon allows you to send and receive gifts throughout the day! The game is connected to Facebook, this means you will be able to update your friends and loved ones about bonuses, updates, and new events! Unlock exciting new bingo worlds! Keep up with the competition by checking the Leaderboard!